Photo courtesy of Flickr user Brett Jordan and used here under Creative Commons. Getting an online class off the ground seems daunting on its own, but once it’s up and running, online educators find themselves facing an even bigger challenge — how to manage the potential workload of monitoring conversation on the discussion boards. Understanding how to facilitate and manage an online class was the focus of the second semester of a learning community I was part of this year at the University of Wisconsin-Madison. One question that came up again and again was, “How on earth am I going to keep up with this many students posting so many times throughout the course?” One way of tackling that problem is by changing up the content and what you’re asking students to post to the boards, as well as doing more to manage the discussion happening there. Remember this: Make the assignments something you want to read. 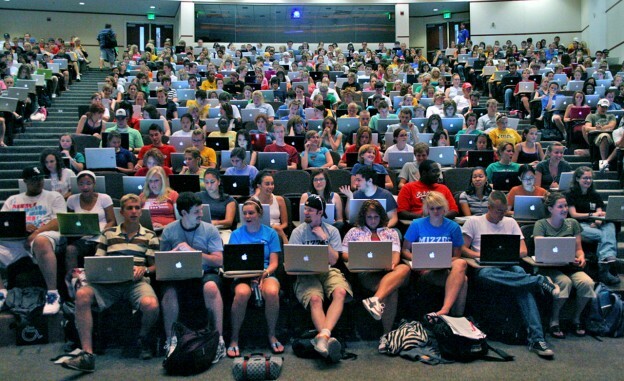 And if the idea of reading dozens — or hundreds — of discussion posts throughout the semester sounds overwhelming, remember this: Make the assignments something you want to read, advises Morton Ann Gernsbacher, Vilas Research Professor and Sir Frederic Bartlett Professor of Psychology at UW-Madison, who’s been teaching online for a dozen years. Most of your students are walking around with a camera in their pockets, so encourage them to use that technology. Is there material that might prompt a visual response rather than 250 words? If you want to get students to start thinking about presenting information visually, have them sketch their ideas on paper and post snapshots to the discussion board, an idea shared by Vanderbilt University’s Derek Bruff during UW-Madison’s Teaching and Learning Symposium. Or if you really want them to get to know each other, have them post simple videos they make on their phones. Gina Martino Dahlia of West Virginia University starts the semester by posting a video where she introduces herself. 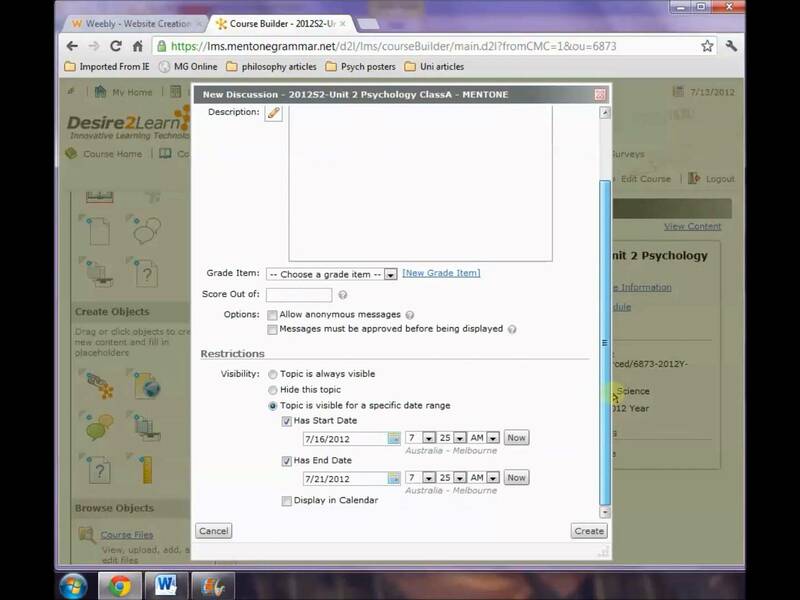 Then she ups the ante for students and offers extra credit to those who post their own introductory videos. (Just be sure to leave an opening to accommodate any students who don’t have the technology). Today’s social media-savvy students know how to represent themselves online, but what if they have to write in someone else’s shoes? Jamie Henke, who teaches an online music theory class at UW-Madison, has students adopt the character of a well-known composer. What would Beethoven say, and how would Stravinsky react to this idea? Asking students to play someone else forces them to dig into the material enough to understand and think critically about how someone else would respond. Gernsbacher says encouraging students to respond in this particular way increases their interaction with each other. Another tactic is what she calls the “jigsaw” — with this approach, students are prompted to write about something that no one else has identified yet. With this kind of direction, “everyone contributes a unique piece to the puzzle,” Gernsbacher says. Students can take turns — assign them at the beginning of the course — taking on the responsibility for a certain part of the online discussion. One week, a student is responsible for starting the discussion and facilitating the conversation, the next week she is expected to be one of the first to respond to the facilitator’s opening post, and the following week she has to take an opposite point of view. This challenges students to approach the material from a variety of perspectives and prevents the class from devolving into certain roles as the course carries on. In a course I teach on in-depth reporting, students take turns finding examples of this kind of journalism. Then they lead a discussion into the different elements — reporting, organization, alternative story forms, writing — dissecting what works and what doesn’t. Deconstructing stories like this gives them opportunities to see what makes for quality work, and I see them put these lessons to use when they’re producing their own work. Why not translate that to a discussion board, having students do the work of finding compelling examples and engaging the group in breaking them down? What techniques and tactics work for you? Please share them on the #EdShift hashtag on Twitter.